Number 1 rated by Mens Health US, ID Glide is a water-based, latex-friendly and extra long lasting lube. Crystal clear, super smooth and with a neutral taste. Even bigger bottle, even better value. Formulated from the highest quality ingredients, doctor-recommended ID Glide is designed specifically to enahnce the pleasure of intimacy. 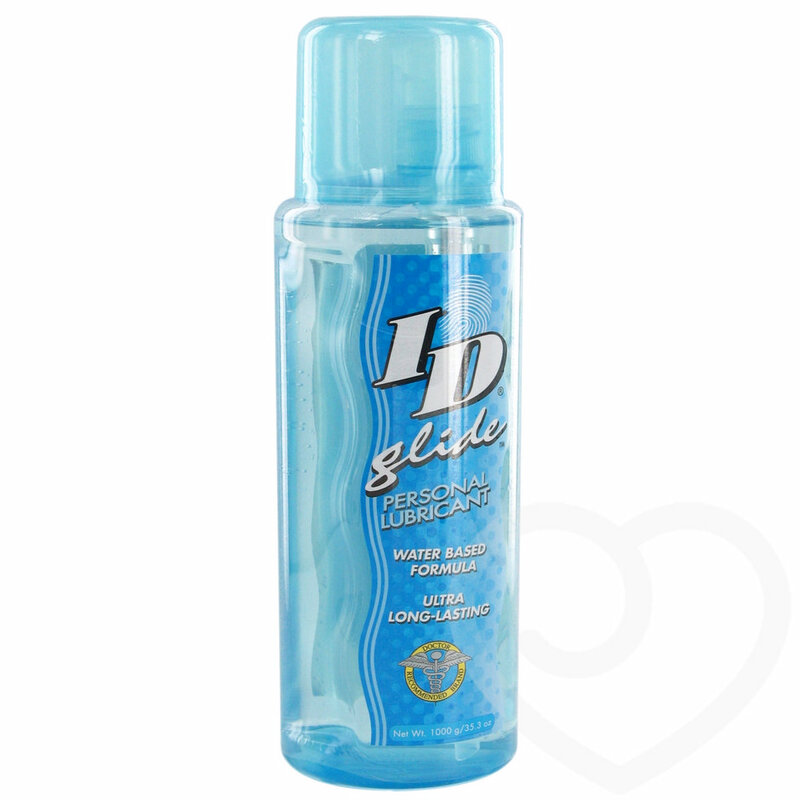 Clear, odourless and water-based, ID glide is silky smooth, long lasting and latex friendly. Please note that due to the weight of this product it can be shipped within UK & Europe Only. I used it with Fleshlight, I thought I would use a lot to lubricate myself, but I just used a few drops. A bottle of ID glide can be used for a long time. Also, it is water-based and would not be harmful to my Fleshlight, very satisfied! Only a few drops can achieve smooth feeling and it tastes sweet.